How To Get The Best Travel Medical Insurance Deals for Seniors? There is so much about the world that many people will never get the chance to explore; mountains and beaches, beautiful geographic locations, new cultures, new cuisines and exposure to different ways of life. Regardless of your age, you should be allowed and encouraged to travel so that you can experience these new things. Yet being careful is important. Especially if you're older, you need to make sure to get the right medical insurance in place before you leave. Traveling may be full of unknowns - whilst "anything happening" can mean great and exciting surprises, it can also mean accidents, illness or loss of your time/property. You need coverage because you don't want this to spoil your vacation or your life savings. Luckily, there are plenty of insurers available. You need comprehensive coverage, especially if you have pre existing conditions. You want a policy that is effective and will help you regardless of what troubles you may (but hopefully will not!) run into. You'll also want something that is affordable - there's nothing worse than paying for travel insurance that don’t cover certain things or you need to pay out-of-pocket. We specialize in offering Travel Insurance to Snowbird and Senior travellers often looking for affordable coverage at the best rates. Luckily, if you're reading this, you're in time for the early bird discounts and offers. Typically, between the month of July and September, is the best time to shop for snowbirds travel insurance. Taking advantage of "Early Bird Specials"
The reasons you should get insurance early is because you are getting the same coverage at a discount price compare to purchasing later on in the season. Every company plans a different Early Bird Sale, so you will want to call early to find out how the impending rate could benefit you. If you inquire early, we will do our very best to book your policy as late as possible before the rates go up. That way, you get the benefit of the early bird rates, while allowing you to pay as late as possible before the travel insurance rates goes back up. If you're not sure when you'll be travelling exactly, no problem! Lock in your quote based on your tentative dates you can always change them closer to your departure without penalty. This means that you'll achieve the best of both worlds - the prices of buying earlier in the season and the guarantee that you'll get coverage for the exact dates you need. Early Bird Special for Senior Travellers! Everyone that's been travelling for a few years and leaving Canada for more than 30 days knows about "Early Bird Specials"
This year, it's even more relevant with the value of the Canadian dollar versus the US. Most insurance company has already raised their travel insurance rates for 2015. But, hold off, they are a couple that didn't as of yet. Good news for our early bird travellers! If you will be travelling this year, it might be worth your while to find insurance coverage, as soon as possible. With the early bird specials, you can save 5-20% in some cases. You are not sure of the dates, you can purchase with tentative dates, and change later no problem. No extra fees. Travelling with our Canadian Dollar value! How will this effect our Canadian SnowBirds Travellers...? The Canadian dollar ended this Tuesday, on August 4th at its lowest point since August 2004. Our dollar closed more than half a cent from the previous session. 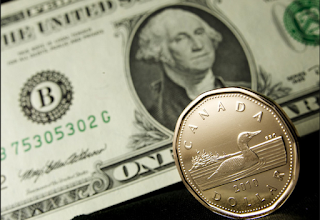 The loonie closed at 75.87 cents US, down .58 cent of a U.S. cent from Friday's close on July 31 2015. Will this hold travellers back? Probably! I personally think that they will still travel, but maybe cut down on the number of days instead. With our last winter, Canadian SnowBirds still remember how long it was and how cold. What about the Travel Insurance, how does it get affected by the US dollar? We buy it in Canadian dollar, so it shouldn't be affected? We wish! Because of travellers going to the US, the cost of the medical expenses are typically the same, but it's when we use Canadian dollars to pay this is were the value of our low dollar hurts us. Most insurance companies have already increased their rates, but they are still a few that are very competitive, on top of offering "Early Bird Discounts". We are talking 15 to 25% savings before they raise their rates. Looking for a deal on travel insurance, don't wait! Lock your rates now! The good thing now is that Travel Insurances are more competitive. Since the number of travellers and the awareness of the need for travel insurance have increased dramatically, so has the coverage for pre-existing conditions. Insurance companies have customized their travel insurances to meet the needs of the clients. Some travel insurances even offer covers for critical illnesses. So be straightforward when inquiring about Travel Insurance with pre-existing conditions. Remember, it is your right to know! It is your right to be protected during your travels. Most if not all insurances come with pre-existing conditions. This goes the same with travel insurances. It is common that when people see the word “pre-existing conditions”, they hesitate from getting a travel insurance. They would think that they won’t qualify or worst, they would even think that getting one is much more expensive than what they would spend during the travel or vacation. Moreover, reading the terms & condition or even just the pre-existing conditions can be confusing most of the time. And mostly would have themselves convinced that they understood every bit of it when in fact they don’t. They are just too proud or embarrassed to ask for explanation from the insurance agent. The key to overcoming such doubts is to fully understand what the pre-existing conditions in any travel insurances are. Basically, pre-existing conditions refer to any illness or medical condition that was identified and existed before agreeing to an insurance contract. Do not hesitate to ask as many details about these pre-existing conditions and where you fit in it. Ask how you can utilize the pre-existing conditions of the insurance to your benefit. Do not think that if you are honest about your medical conditions, you won’t be able to get a travel insurance or you will always have to pay more.